Gold bangle embellished with a Tree of Life design, crafted in 9ct rose gold. The hinged bangle features a sliding fastener and chain for safety. This stunning accessory is guaranteed to contain a touch of rare Welsh gold. 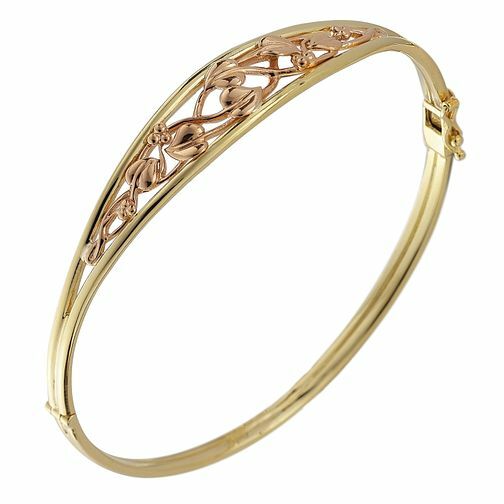 Clogau 9ct Two-Colour Gold Tree of Life Bangle is rated 5.0 out of 5 by 1. Rated 5 out of 5 by Anonymous from Stunning I had this bought for me a coupe of years ago. Such fantastic quality! Beautiful piece.